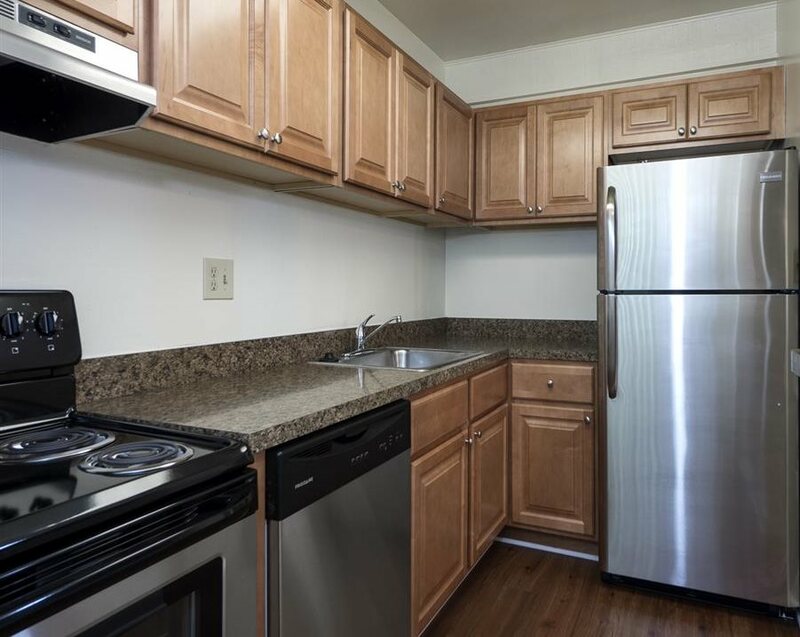 Mount Vernon Apartments not only has one of the best locations for University of Florida students, but it offers great amenities and versatile floor plans. The one-bedroom floor plans are cozy while the two bedroom floorplans are perfect for roommates or couples with plenty of room for everyone. The community offers newly renovated units, a lovely swimming pool, and 24-hour laundry facilities. The biggest draw to Mount Vernon is its location. Situated less than a mile from Shands Hospital on Archer Road, students can drive, bike, or walk to classes on the south side of campus easily. The south side of campus houses many science and medical departments, including the College of Nursing, Veterinary Science, and Dentistry. The easiest way to get to classes is to take 23rd Drive north to Mowry Road which goes through campus and is less busy than Archer Road. From Mowry, students can reach many of the buildings in that part of campus by using Center Drive. Students who choose to drive will find several parking areas through this area. For students with classes on the north and northeast side of campus, near Library West, the College of Business, or the College of Education, it may be too far to walk, but it’s only a 10-minute bike ride. Students can go from Mowry Road to Gale Lemerand Drive, which goes north through campus, and then reach classes from Stadium Road. It’s an easy and enjoyable commute. Living so close to campus also means students will be near popular restaurants and shopping options. There are plenty of popular bars and restaurants along University Avenue, including The Spot, Pascal’s Coffeehouse, and Relish, making it easy to meet up with friends and grab a bite to eat. Butler Plaza is also nearby on Archer Road and SW 34th Street, and it houses Target, Publix, Trader Joe’s and other places to shop and get groceries. There’s also a large movie theater and plenty of restaurants there, and at just over a mile away, it’s an easy drive or bike ride. Mount Vernon Apartments has a bus stop right outside the property that is on the #1 and #12 routes, two of the most popular bus routes. The #1 goes from Butler Plaza to Rosa Parks Transfer Station, and from there, riders can reach nearly all of Gainesville. The #12 route goes from Butler Plaza to the Reitz Student Union, making it easy to reach campus on rainy days.